286 pages | 2 B/W Illus. A major challenge in studies of environmental governance is dealing with the diversity of the people involved at multiple levels – villagers, development agents, policy-makers, private resource users and others – and taking seriously their aspirations, conflicts and collaborations. This book examines this challenge in two very disparate parts of our world, exploring what gender-equality, resource management and development mean in real terms for its inhabitants as well as for our environmental futures. Based on participatory research and in-depth fieldwork, Arora-Jonsson studies struggles for local forest management, the making of women’s groups within them and how the women’s groups became a threat to mainstream institutions. Insights from India, consistently ranked as one of the most gender-biased countries, are compared with similar situations in the ostensibly gender-equal Sweden. 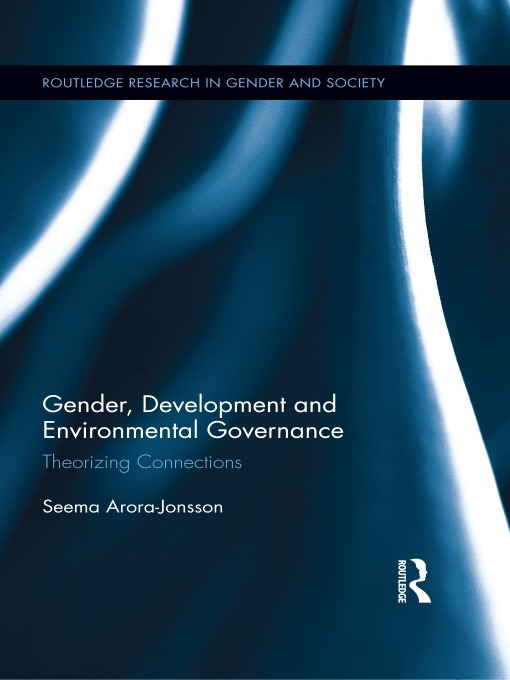 Arora-Jonsson also analyzes how dominant ideas about the environment, development and gender equality shape the spaces in which women and men take action through global discourses and grassroots activism. Questioning the conventional belief that development brings about greater gender equality and more efficient environmental management, this volume scrutinizes how environmental imaginations are key to crafting gender relations. It shows gender to be at the heart of environmental negotiations while at the same time making a case for environmental sensibilities as integral to gender relations. At the confluence of development, environmental and gender studies, the book contributes to a much-needed dialogue between these fields, proposing new futures in environmental management. Seema Arora-Jonsson is Associate Professor in the Department of Rural and Urban Development at the Swedish University of Agricultural Sciences.